Hey, look, an excuse to think about and watch Bully again. 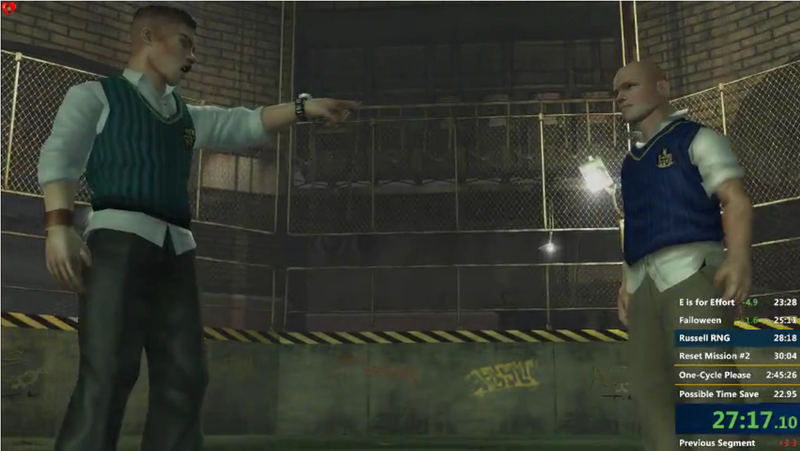 Every so often some high-powered shot-caller at Rockstar will say that they really want to make a Bully sequel. But it's been all talk so far. So, fans of Jimmy Hopkins' adventures at Bullworth Academy will have to content themselves with this new world record speedrun. Twitch streamer Kristoffer/Trulijin logged a time of 2:42:47 playing the Bully: Scholarship Edition version. (For some context, a previous world-record run from last year clocked in at 2:49:25.) Not bad for an open-world game. The thing about speedrunning is that—even though players are literally exploiting the weaknesses of a game's design—it comes from a place of great affection. So, hopefully, the powers that be at Rockstar can see something like this and take that Bully sequel off the backburner.